1. 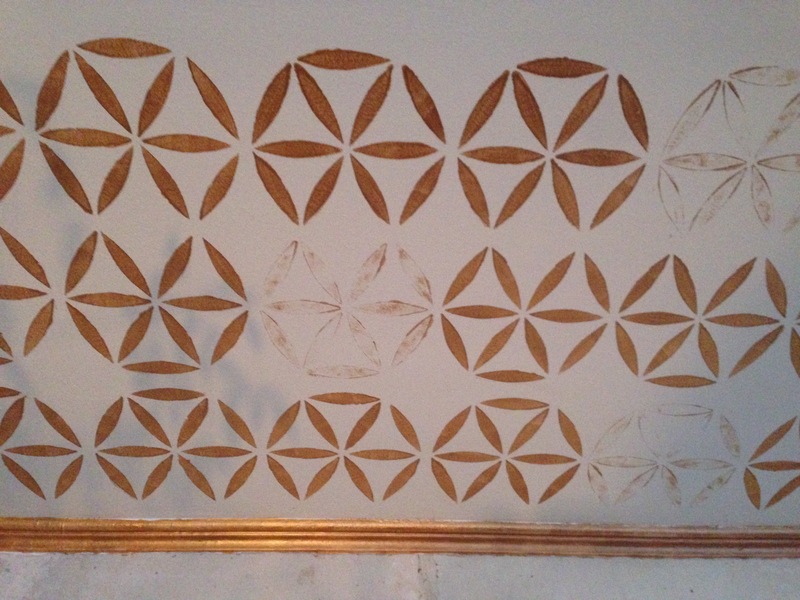 Find a pattern you like – you can either make yourself using thick cardboard or plastic, or you can do as I did, buy a template – you´ll find loads of stencil libraries on the web 😉 Or get inspired here! 2. Kick it off in one of the corners, it will ease the struggle to make the pattern in a straight line – if thats what you want! My template was made of plastic so I used some blue tack to stick it to the ceiling while painting. 3. As you might know I am a huge fan of edgy and glamorous – that explains why I decided to make every fifth pattern transparent. For that I used a sponge softly pressed on the template. 1. Find et mønster du kan lide – du kan enten lave en skabelon selv på tykt pap eller plastik, eller du kan gøre, som jeg gjorde, købe en skabelon – der findes en masse stencil biblioteker på nettet 😉 eller bliv inspireret her! 2. Start i et hjørne, det gør det lettere at vinde kampen for at holde mønsteret i en lige linie – hvis det er det, du vil! Min skabelon var af plastik, så jeg brugte blue tack til at sætte det fast i loftet, mens jeg malede. 3. Som du måske ved, er jeg stor fan af glamour med kant – derfor, besluttede jeg at lave hver femte mønster gennemsigtigt. Jeg brugte en svamp, som jeg blødt pressede på skabelonen. 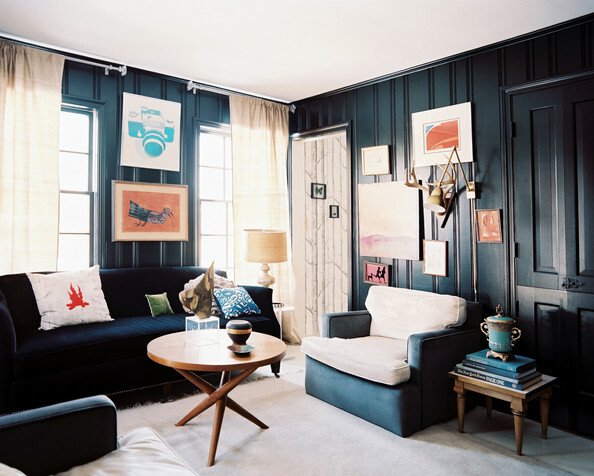 A lighter version is to paint the ceiling in a shade of the wall color! 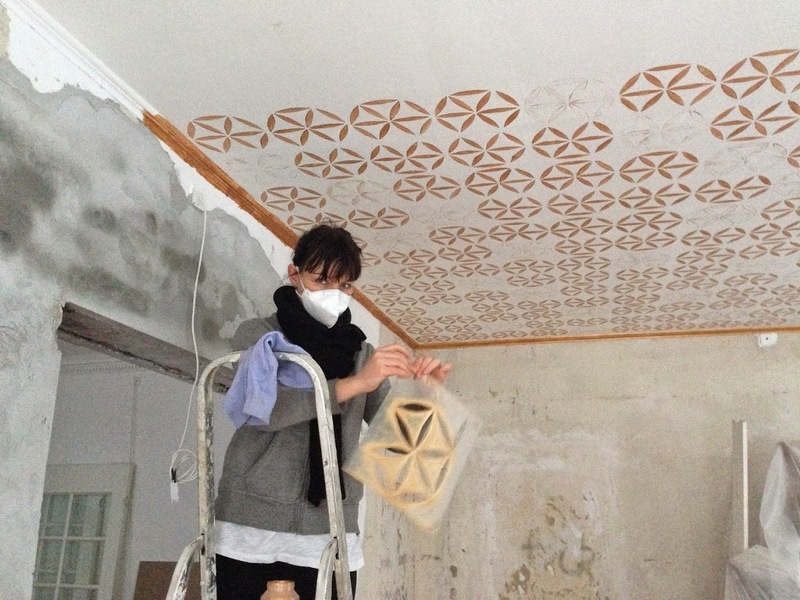 INVITE YOUR CEILING – to the funky party! I have a huge passion for funky ceilings! 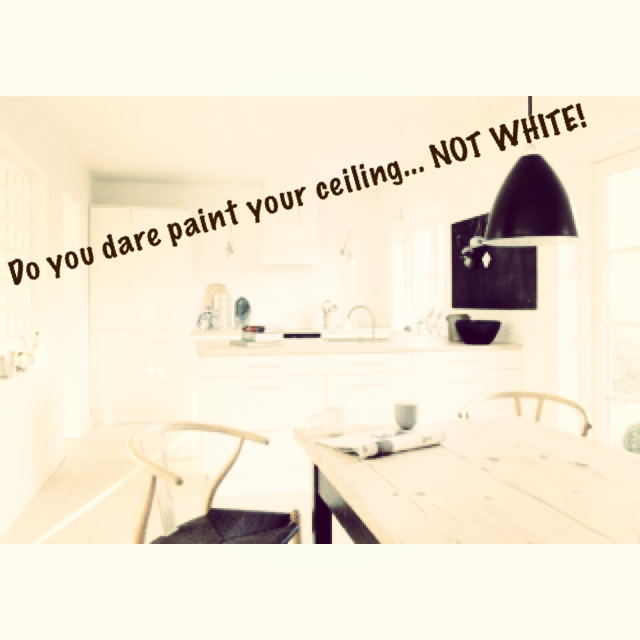 I am sick and tired of white ceilings – I have said it before and I say it again, the ceiling is as much a part of the room as the walls – why so afraid of doing something crazy!? I know these stripy-options might be a bit over the edge for some people, but nevertheless I want to show you how including the ceiling in the interior design gives a complete look! AND I love to go aaaaaaall the way! AND FOR THE CLASSIC – see the effect? 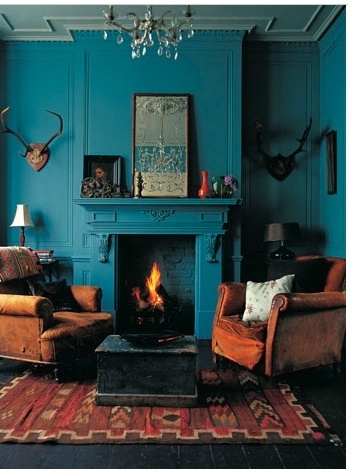 DONT BE SCARED TO GO CRAZY ON THE CEILING – YOU CAN ALWAYS RE-PAINT IT! Look up at your ceiling…zzzzzzzz??? What is it about ceilings, why do they have to be SO white?? Since I was a kid I always wondered why everybody had white ceilings and colored walls, it seemed to me that the room was cut in two pieces and did not belong together! Or almost even worse if both walls and ceilings were painted white I felt like I got blind (in Denmark we call it snow-blind, does it make sense to you? 🙂 ). I did not understand why everybody loved to lay on the grass or at the beach looking up in the beautiful blue sky (maybe because it very seldom shows up in Denmark) but when we went inside and to lay in the bed we were all looking up at a white ceiling, drained from any kind of stimulation – just nothing! It did not make sense to me, and it still doesn’t – why are so many people so afraid of painting the ceiling? 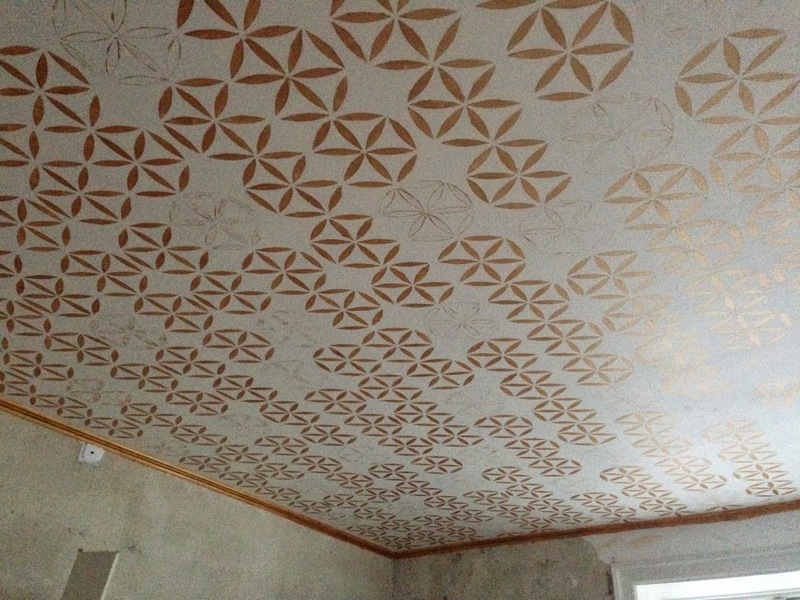 Ive heard many arguments but the most usual is that if you paint the ceiling it gives the impression of falling down to your head – I see the point, but I DO NOT agree! As long as you consider the color and the rest of the interior, I am convinced that painting the ceiling will actually give the impression that it actually belongs the room! The trend in Scandinavia is right now VERY WHITE and minimalistic but black ceilings are getting in, which I think is really cool! 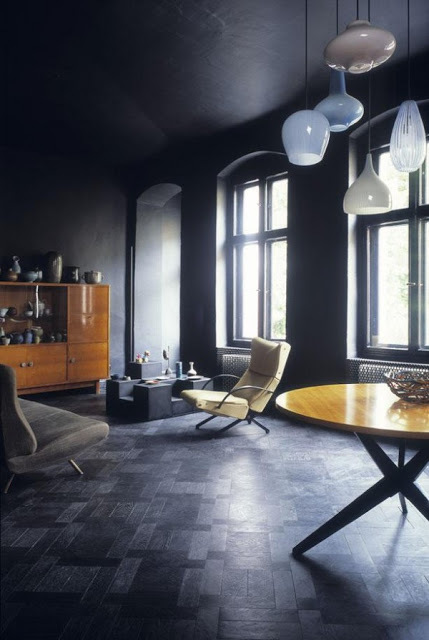 I know its a bit of a jump if you are a real sucker for “Scandinavia interior style” and it will take a bit of daring to paint a ceiling black especially because most of us don’t live in spaces with lofty ceilings (which I think is the biggest concern) but I am sure, once you go black…!! !